Known for their fearless action, physical indulgence, and elegant design, Chris Ferris & Dancers perform the world premiere of If This Were Not Real, choreographed by Chris Ferris, which reflects alienation as a result of living in a time of hyper-connectivity. As space is defined, boundaries are created, and the dancer as a single unit appears. In development since May 2016, Rampaging Light by Chris Ferris & Dancers holds and releases the audience with the silent step, soundless wind, screaming train, and buzzing wall of voices. The performance alters the perception of a single room and the flipping numbers on your clock. Dancers inhabit space by weaving a fabric of movement that varies from intricate to sweeping, light to determined, and is always part of a larger spatial design. Chris Ferris is the artistic director of Chris Ferris & Dancers. Her work is based on an exploration of movement from a sculptural, dynamic and emotional point of view. Its focus is to bring you design in space and time with a human element. 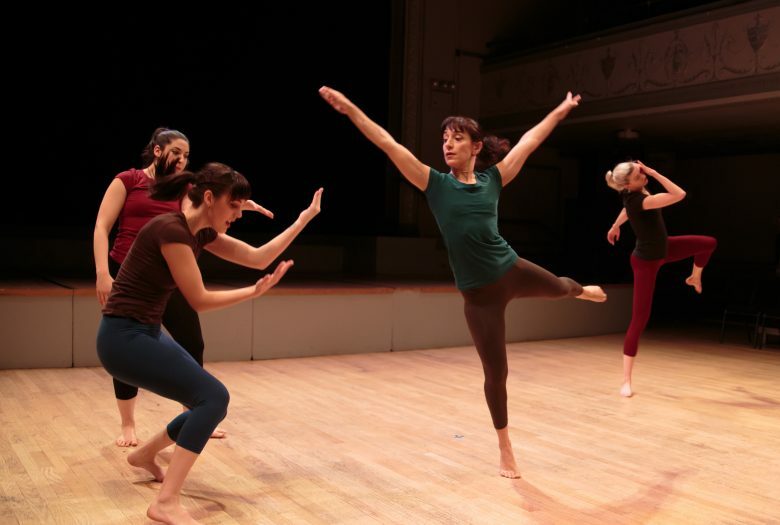 Their newest suite of works, Rampaging Light, were presented in March 2017 as part of The Waxing Crescent, an evening of dance and music with guest artists presented by Ferris. An earlier version of Rampaging Light was performed at Take Root, Green Space Studio, Long Island City in September 2016. 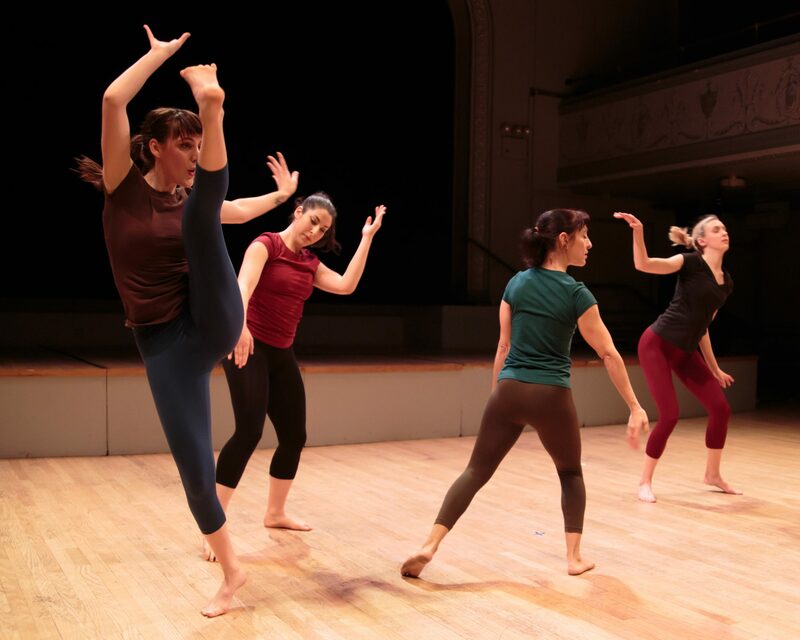 Perfect Tension was presented at the Martha Graham Studio Theater in November 2014 after premiering at FLICfest in January 2014. Urban Pastoral, an outdoor improvisation with 10 sculptural lights by Warren Kloner, 10 dancers, and live music was presented in June 2015 at Socrates Sculpture Park in Queens, Battery Park City in Manhattan, and Carl Schurz Park in Mahattan. For its Spring 2014 series, Chris Ferris & Dancers performed at Central Park and Squibb Park Bridge. In the Fall of 2013, they presented at the Tobacco Warehouse in Brooklyn Bridge Park, The High Line in Manhattan, and Central Park. 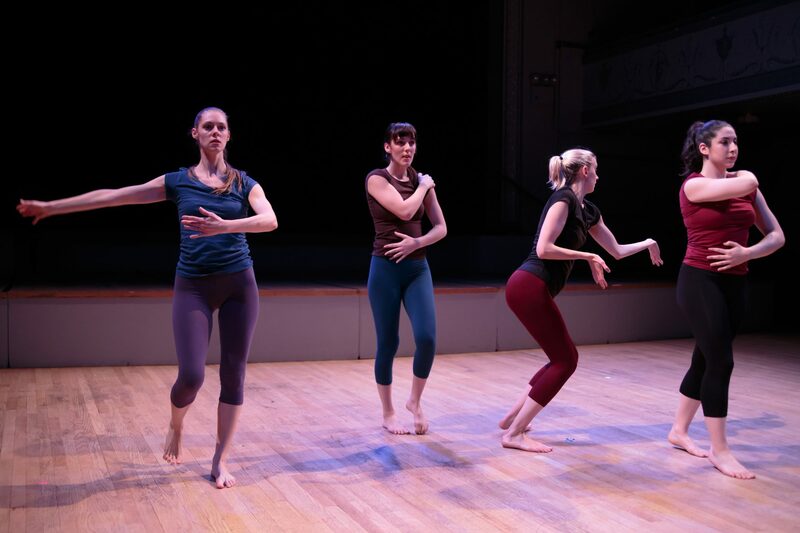 Circuitous Body, was performed at Roulette in April 2012 and Green Space Studio in Long Island City in November 2012. Chris Ferris & Dancers’ 2011 concert, Continental Drift, was presented at CPR – Center for Performance Research. Proximity Of Clouds (2010 full evening work), premiered at Joyce Theatre in Soho, incorporating sculptures that hang, swing, slash, glow, and illuminate. Ferris’ dances have been shown in New York at three season concerts at the Cunningham Studio Theater. 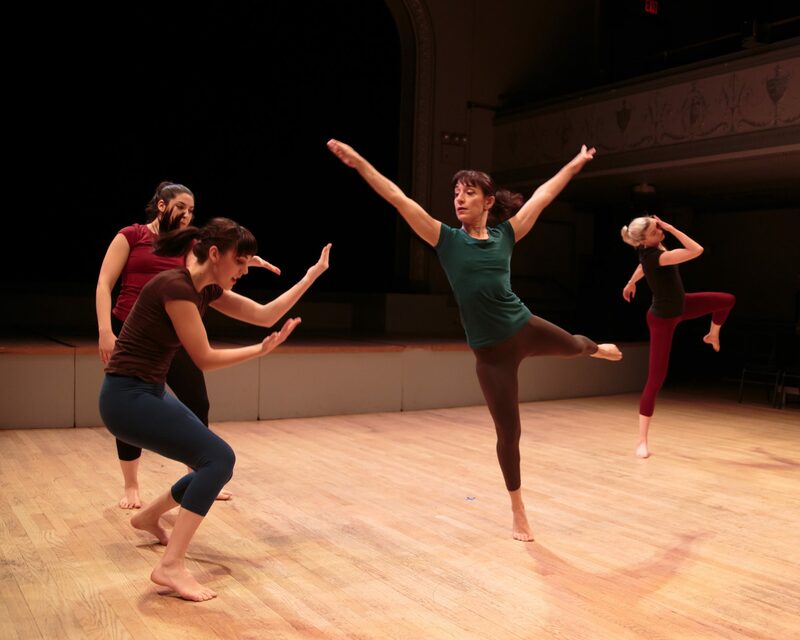 Her work has also been presented at 60×60, Triskelion Arts, Green Space Blooms, Performance Mix, Sans Limites Movement Festival, Movement Research at Judson Church, University Settlement, the 92nd Street Y, and a variety of other venues. Loren Kiyoshi Dempster uses a combination of computer, electronics, cello, improvisation, notated scores, to create and perform music. His compositions have been presented at The Stone, Roulette, Issue Project Room, Weseleyn College, and at Chez Bushwick, a 2007 Bessie Award winning performance arts space of which he was a founding member. He toured extensively with Merce Cunningham performing Interscape and Biped. He was music director and composer for Harrison Atelier for many works. Interested in the relationships between movement, space, and sound, he may be found creating and performing music with many collaborators including Chris Ferris, Gabriel Forestieri, Dahlia Nayar, and Margaret Paek. 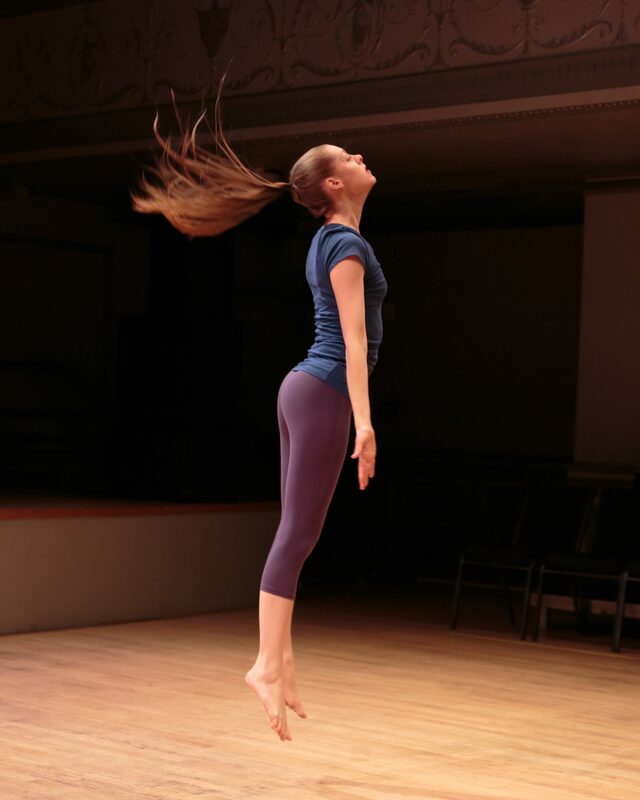 Recently moved to Appleton, WI from Queens, NY, Dempster has taught as a guest artist at Renaissance High School for the Arts, and has performed in the Fox Cities area at Wriston Art Gallery, Science Atrium and Esch Studio at Lawrence University. Max Maples is a drummer, composer, and educator based in New York City. He performs and records regularly for local artists, arranges and composes, and teaches world percussion at the Greenburgh-Graham Union Free School District. He has performed with jazz artists David Baker, Bob Sheppard, the Buselli­-Wallarab Jazz Orchestra, John McNeil, and Oliver Nelson Jr, and has worked as an accompanist and composer for the Mark Morris Dance Group, Joffrey Ballet, and Vashti Dance Theater. Chris Ferris: Present Tense Multiplied is supported, in part, by the Mertz Gilmore Foundation, the New York City Department of Cultural Affairs and the New York State Council on the Arts.